Self Storage London Locations Shouldn’t be a Problem, Pick&Move Mobile Storage Collect From Your Doorstep in London, it eliminate any hassle associated with traditional self storage locations or nearby storage facilities having to travel, transport to and from storage units, because Pick&Move storage company covers all postcode in London, convenient and flexible option. There is more! We’re Cheaper too London storage made Easy. Convenient and flexible storage collection covering all London Postcode From 99p per day. and 50% off for 16 weeks for you in for long haul with free collection and insurance unbeatable offer for Londoners. The solution is easy is what we do best Storage from the comfort of your home or office in London. No more DIY we are here to made self storage London Locations convenient and hassle free. Most of us accumulate belongings over the years so where can you safely store your belongings at a price you can afford? Pick&Move Mobile storage solutions is near you, since we eliminate all the hassle and inconveniences of storage, we are ultimate storage solutions with the worry of any distance or location, we collect, store and deliver for less than the cost of self storage in London..
we collect right from your door step.We offer spacious, clean and safe storage units for your furniture, personal belongings, company archive or inventory. Pick&Move portable storage units are the perfect alternative to self storage, garage, attic or cellar! Why is Pick&Move Mobile storage units is better option than traditional self storage for Londoners. We pick up, store, and bring back your stuff–– all for less than the price of self storage. FREE Collection for long term storage lowering our cost even further. No obligation on site pre-move survey and more! Self Storage near me? We near everyone in London, We Collect. At Pick&Move we like to keep our prices nice and simple eliminating all the headache of dong it your self. You do not need to leave the comfort of your home or business, no truck to hire and no more long dark corridors or pushing trolleys. 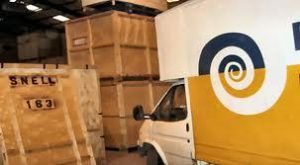 Since we are mobile storage provider getting your goods to and from self storage near me is no longer a problem we simply collect right from your premises all across London postcodes..
Do you offer any Storage discounts? We offer unbeatable discount envy of our competitors. Self storage are notorious with confusing and complicated offers to lure in, the truth is not hard to find, more customers are moving to us from Self Storage simply they couldn’t keep up with pace of price increase, is inevitable if you are in self storage you will be paying through the roof and so is the insurance premium year after year. 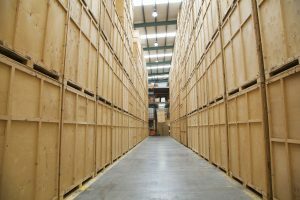 We offer better alternative storage solutions in London. Did you know the longer you store with Pick&Move the lower your rate when renewed. At Pick&Move we often run special Offers and Discounts. Straightforward deals in addition to our already low rate. Get a No Obligation Quote today to find out what special offer you qualify for and start saving..
We takes security very seriously. We want you to feel completely at ease when storing with us. As such, all Pick&Move London self storage locations are clean, dry without fear of moisture or humidity. 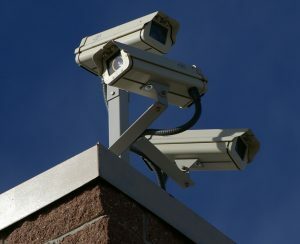 Covered by 24hr CCTV surveillance and multi-zone alarm and fire systems. Facilities is also tightly controlled using PIN access control systems which allow us to restrict access to any unauthorised person. All our storage containers are tracked, movement logged on to our computers until required by our client.